It’s true. You create your reality. You have the ability to attract anything you want in your life. 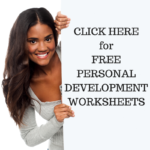 I’m going to show you 3 easy personal development techniques magnetise what you desire. Imagine that you are an owl flying above a small country town where people are going about their daily routine. This owl has special powers and can see the energies of each person. The energies are generated through a person’s feelings and emotions so the owl can see when a person is feeling frustrated, sad, or happy and so on. The combination of thoughts, feelings and actions that a person generates draws to them what they create. It’s the Law of Attraction. You can attract anything you want in your life. You have the power to create your reality and make your dreams come true. But knowing these powerful personal development techniques and getting it right is more difficult than it seems. You see, you’re stuck in automatic patterns of thoughts and behaviours that keep drawing to you the same old thing such as: a hurtful relationship, no recognition at work, a state of poverty, friends that betray you and so on. If you look into your past you’ll notice these patterns come from your childhood or previous experiences. These patterns may be beneficial to learn lessons, but if you want to positively improve your life you’ll need to make changes to your patterns. Would you like more money? # 1 – ASK. You’ve noticed what you don’t want in life, but what do you want? MORE MONEY! The challenging part about asking is that you must be disciplined to think about what you want, rather than what you don’t want. That’s where the personal development technique, thought awareness, comes in handy. Observe your thoughts, and change the ones that are sabotaging your success. If your thoughts start to wander over to what you don’t want, “I don’t have enough money” simply stop those thoughts and change them to something that you do want, “I am abundant in all areas of my life”. Make sure your ASK is focused on what you want. #2 – ALIGN your thoughts, feelings and actions towards your goal. Thoughts: For instance if you want to change your financial situation change your thinking from: “Money is tight this week” to “I’m grateful for all that I have”. And, really feel that gratitude throughout your body and mind. Notice all the things around you to be thankful for… even if it is the old kettle that continue to boil your water for tea in the morning… BE GRATEFUL!. Feelings of gratitude are a powerful tool to change negative thought patterns from poor me to abundant me. HAVE FUN WITH IT! You can get really creative and fun with your thoughts. You might like to visualise money as your best friend, or that you are a magnet for money and it has a strong attraction to you. Think positively about money. Observe your feelings. You feel as you think. When you change your thoughts about finances/money, your feelings about finances/money will also change. Feel good about having, using, holding and making money. Change your actions. If you continue to be a couch potato and watch television 24 hours a day it is unlikely your financial situation will change. The trick with this tip is that you must expect things to change. Expect miracles to occur every day. These miracles will take you one step closer to attracting more money. Watch for miracles. Wait for them. When the energies start to shift you will notice new situations and opportunities will be revealed. You might meet someone who is looking for a business partner with the exact qualities and knowledge you have. Or perhaps a friend will introduce you to a person who is looking for a full-time employee in a position that just became available. When these opportunities appear it’s important you take action. Change the way you do things in your life so your actions and behaviours are aligned perfectly towards your dreams and goals. #3 – ALLOW the change to occur. Know in your heart that something is changing. When thoughts of doubt or worry come up, change them to something that aligns towards your dreams and goals. Aligning your thoughts, feelings and actions towards anything you want is like sending out a beacon of light to the laws of universe telling it that you know the law of attraction and are eager to make your dreams and goals come true. Use these personal development techniques of: ASK, ALIGN and ALLOW to be successful at attracting what you want. This entry was posted in Personal Development Resources and tagged create what you want, law of attraction. Bookmark the permalink. I’ve gotten a lot better at asking, I feel like I align in my thoughts and feelings – it’s the action I get stuck on. I imagine it all happening, I get excited, I feel the energy but then fear tend to win out and I rationalise my way out of doing what I know I need to do. What do you suggest when the action bit tends to get left in a pile of broken dreams and half done projects. I’m curious. What percentage of your thoughts are focused towards your goals, and what percentage is sabotaging your success?